With it’s convenient size and low price, the Amazon Echo Dot has become the go-to smart speaker for those who want Alexa in their home (see our Echo Dot review). And with popularity comes the 3rd party accessories. 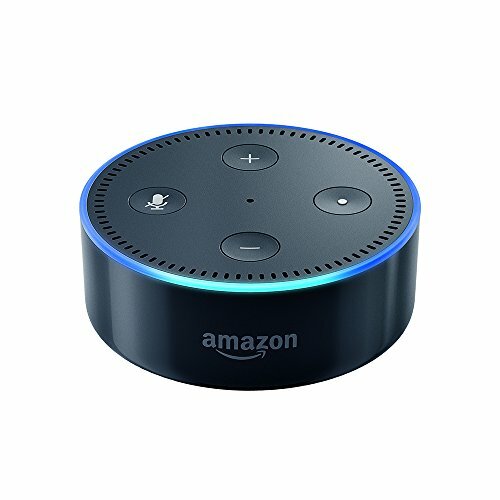 The Echo Dot’s unique shape and low profile make it a perfect product for customization and we’ve compiled a list of the best add-ons available. Let’s face it, the Echo Dot’s not the most attractive looking gadget on the market. That’s why Amazon is offering up a number of attractive cases. This accessory is designed to provide a precise fit around the device while providing access to the micro USB port and audio jack in back. The official Echo Dot case comes in six different styles. Charcoal, White, and Indigo are prices at $9.99 and made with a nylon woven fabric. The Merlot, Midnight, and Saddle Tan colors are $19.99 and are made with full-grain leather. If you’re looking for that extra little touch, these cases might just be what you need. If space is a concern, the This Dottie Plug-in Mount is a perfect solution. Coming in both black and white, it allows you to mount your Echo Dot directly against the wall via an electrical outlet. It’s clean, cordless profile is great for a kitchen or bathroom where cords can’t be easily hidden. Besides the clean look a wall mount provides, you’ll also notice an upgrade in sound quality. Having the speaker aimed at you (like speakers normally are) provides better audio than directing the sound straight up. At $20, it’s an attractive, functional accessory that enhances your Dot. If you like the idea of a wall mount but on a budget, the Matone Outlet Wall Mount is a great alternative. Similar to the This Dottie, it allows you to mount your Echo Dot through the use of an electrical out. The difference is that it uses your existing plug and has a visible cord. It’s a slightly messier look but at a considerable discount. This accessory from Matone includes the wall mount and short cord. You will need your existing plug. Similar wall mounts are made by companies like Bovon and Feiyen. 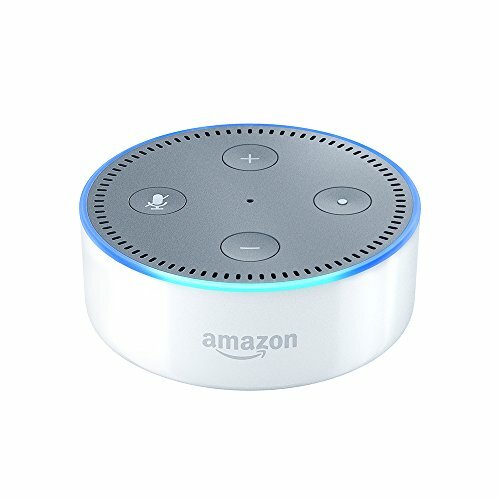 The two biggest issues with the Echo Dot are portability and sound quality. The VAUX Portable Speaker aims to solve both in one fell swoop. This clever device is a battery powered speaker that’s designed to house the Echo Dot right on top. Meaning no cords, a better speaker, and a really attractive design (it’s available in Carbon/Black or Ash/Gray). The VAUX contains a rechargeable lithium ion battery inside that gives you around 6 hours of portable run time. It can also be used while plugged into the wall. Speakers feature dual 52mm drivers and a passive radiator that creates quality sound with a strong bass. It’s a great way to fix the Dot’s biggest flaws for just under $50. If there is one common complaint about the Echo Dot, it’s that the speaker isn’t that great. It can come across a bit tinny and lacks proper base. That’s where iHome steps in by allowing you to drop your device in and magically have stereo sound without the need for an additional wire. Using a Reson8 speaker chamber, there is a noticeable upgrade in sound (although don’t expect it to blow you away). The iHome also has a front facing clock which makes it perfect for the nightstand. There is a 1A USB charging port in back for charging phones as well. If you’re not ready to fork over the money for an Echo Spot (see our review), the iHome is a solid alternative for turning an Echo device into an alarm clock. Have you ever wanted to have Alexa with you when you’re traveling out of town? Well this portable carrying travel bag from AirSoftPeak may be the solution you’re looking for. Specifically designed for the Echo Dot, it features a durable hard case that zips up along the middle. Made of quality nylon material, there’s a mesh inner lining that can store your charger and cord without damaging the Dot. A detachable screw-lock carabiner allows for an easy, secure connection to your backpage, luggage, or even belt. The portable case comes in four stylish colors and clocks in at right around $10. While most of use are leaving our Dot’s at home, this is a safe way to travel with one if you’d like to take it on the road with you.